The Bad: Newbies will struggle to act upon the information. The sales page claims are over blown. Some information is plain wrong. Nothing to actually copy and paste. The Bottom Line: Although the information supplied in Copy Paste Commissions is great, it isn't great for newbies. 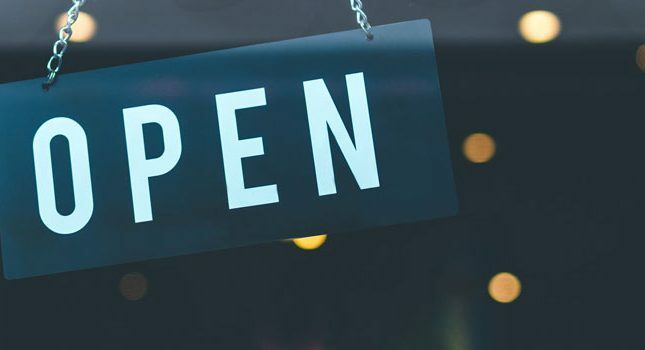 If you want newbie friendly methods for learning how to build a real, sustainable business from home, click here to check out our top recommendation. 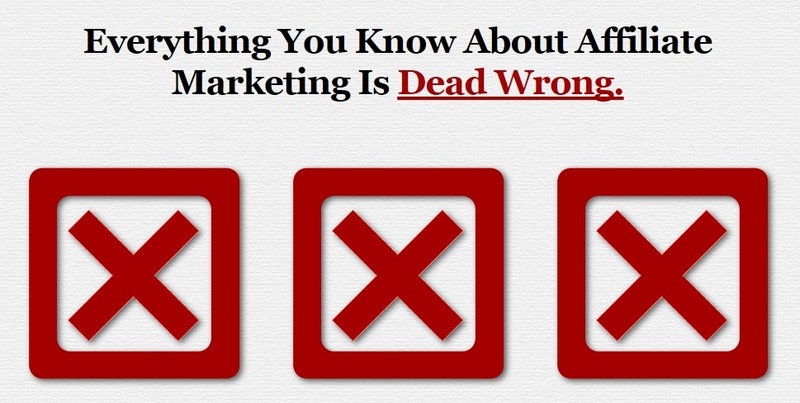 Everyone interested in internet marketing has one goal on their minds: making money. So when you see a system that suggests that it has been used to make $4 million dollars, you have to sit up and listen. Cop Paste Commission by Michael Cheney and Omar Martin is just that system, so let’s take a look at what makes it tick. The focus of Copy Paste Commissions pitch is on the earnings that the makers of the system state they have made: the princely sum of $4,770,167.62 (which is a very precise sum). As well as that they concentrate their verbal firepower on a typical aspect of all marketers: the inability to make money. They suggest that if you’re not making a penny online, you need something new, something “which works”; namely their product. To reinforce the name of their product they mention things like, “Just swipe and deploy” and that “this is a true shortcut to the money”. Seriously, this is BS, there are no shortcuts to making money online and certainly anything where you copy and paste is doomed to failure. This system costs $19.95 with no downsells on the front end product, though you can get a sample. After buying the product you will be faced by the first of several upsells. 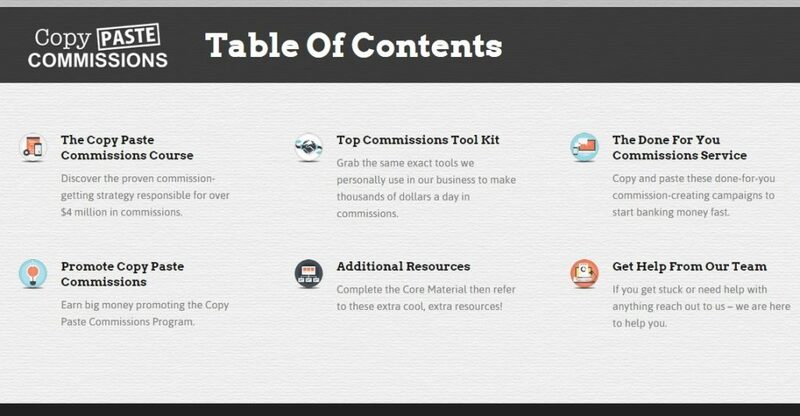 The first upsell is for something they’ve called Top Commissions Toolkit. 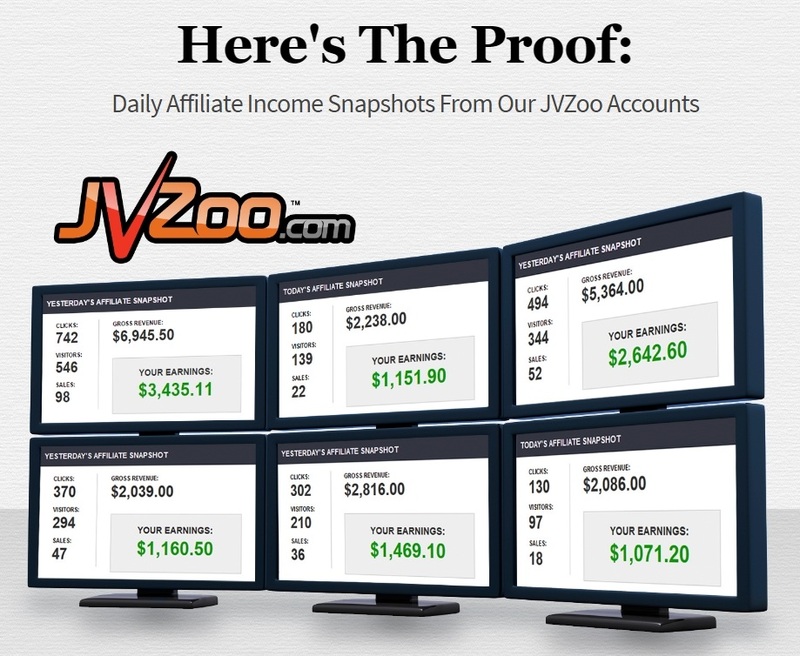 It states that it’s the tools they have used to rake in tons of money, consisting of different strategies, templates and video training. I didn’t buy this, of course, but I also didn’t see why this was necessary – surely the basic product has everything people will need to make $4 million? There’s also a downsell here for the “lite” version of the toolkit. This is literally where you will be handed already built templates, campaigns and discount codes. The issue with this sort of product is that everyone and everyone will get the same thing, so while it says you “don’t need to lift a finger” the reality is that you will need to take the templates etc. and change them all in order to stay unique. Of course, there’s also a downsell for a lite version of this too. After fighting past the various offers, you finally get access to the product itself, which is held in a membership site. There are 6 areas in the membership site but really only one is of importance (and 2 aren’t even accessible unless you buy them). 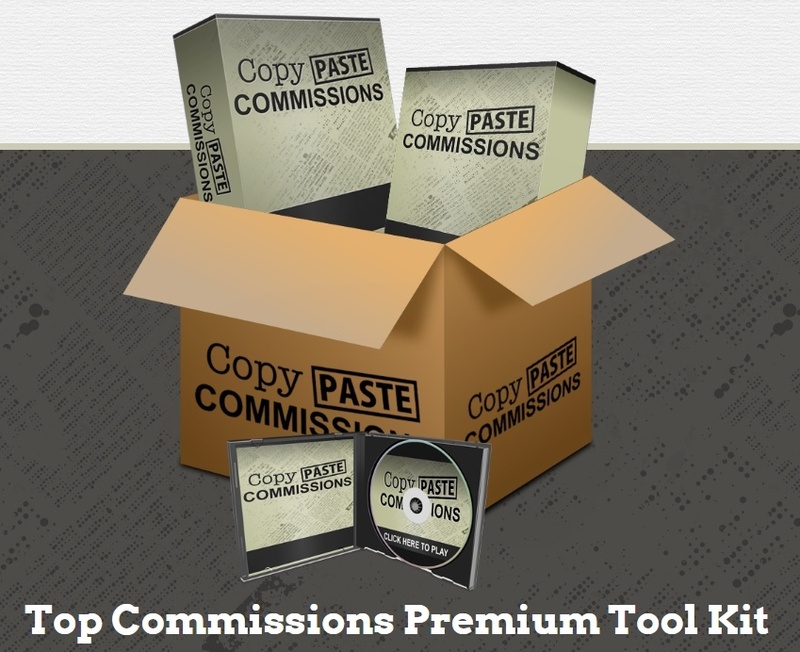 The Copy Paste Commissions training consists of an e-book, audio e-book and some videos. While this might sound like a lot of stuff for your money, it isn’t: the audio and video options are pretty much just the e-book in different media. In fact the audio is literally the two guys reading the e-book out loud. That being said, if you hate reading and prefer aural or ocular training, then you have those options. The e-book is an 80 page document, which is heavy on the text and image free. This first glance suggests that the e-book is detailed, but on the theory side rather than any practical how to’s. The training has a lot of interesting topics and a lot of it can be used by internet marketers in their email campaigns. The e-book covers a variety of techniques as well, such as the Crush Campaign. This section focuses on a particular style of email marketing, where the user is bombarded with emails over a short period of time. At first this sounded a lot like spamming, and in some ways it is, but the training does advise the best way to go about it to not completely annoy the recipient. As well as specific tactics, there is a lot devoted to more underlying techniques. For example the Fence Shaker Strategy focuses on buyer objections and how to overcome them. From buyer objections the discussion moves onto things like urgency in emails and what the right day and time is to send emails. The information, especially about email sending times, is born from the authors own experience, so while it’s valid, it doesn’t mean that it’s valid for you or your audience. It does however give a lot to think on. Most of the traffic training focuses on Facebook and generating a list. As is becoming obvious with this product, there are a lot of interesting facts and nuggets but very little in actionable content. While I found some of the tricks regarding Facebook eye-opening, there was a concern with the email list building. It suggests building a list by bribing existing subscribers with something (e-book or whatever) if they invite friends and family to join the list. This is a terrible idea! Sure you’ll grow your list and grow it quickly but the list you will end up with won’t be worth very much. You’ll simply end up with a list bloated with unresponsive and uninterested subscribers who will simply cost you money every month as most email service providers charge by list size. This sort of information is surely useful, but I continually tried to put myself in the shoes of a complete newbie to not just email marketing but internet marketing as a whole. When looked at from that point of view, Copy Paste Commissions just doesn’t stand up. 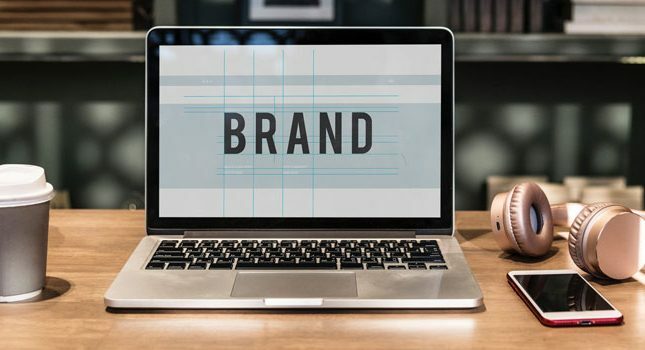 For an intermediate or experienced marketer, you’ll likely glean some interesting and useful nuggets from the training but for a newbie, well, it’s just too high level and doesn’t contain the actionable steps a beginner needs. Great info, but how do I add it to my site? Can it Really Make $4 Million? At its core Copy Paste Commissions is basically just about email marketing. 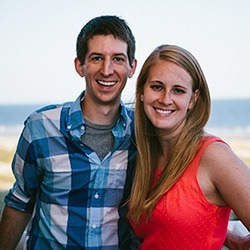 Can email marketing make you $4 million? Sure it can, but it may take a while. I highly doubt that a newbie can walk away from the Copy Past Commissions training, without further mentorship, and go on to successfully make a profitable business in a short period of time. That sum is also slightly false as it’s based on a combined 23 years earnings. This would actually work out at 103,699.29 per person per year but really, that’s still false, as I’m betting the first few years for both of them saw far, far less in terms of earnings. There a bunch of good information here, but when you compare it to the sales page promises, it just doesn’t add up. Newbies will struggle due to the high level training that has few actionable aspects. Intermediates and advanced marketers can of course get benefits from it. Another strike against this system is that even though it’s called Copy Paste Commissions, I saw nothing, at least in the base product, that you could literally copy and paste. Overall I would say Copy Paste Commissions is a 2/5 product.